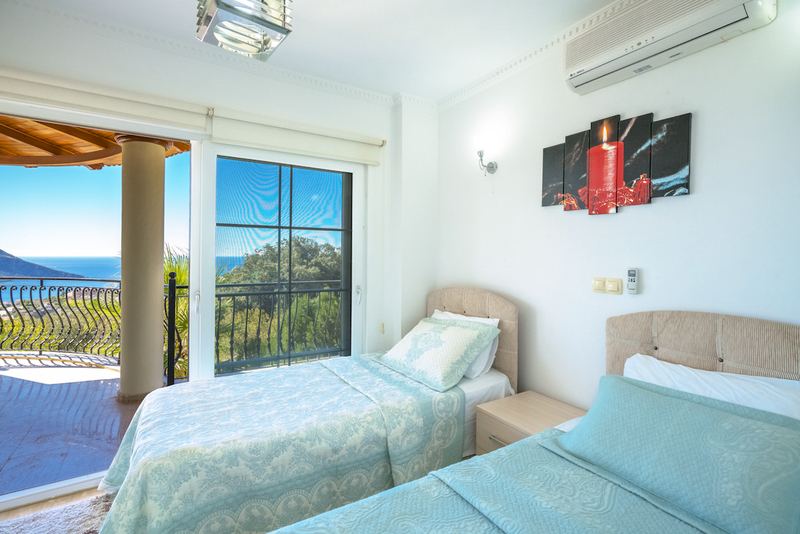 With three charming bedrooms, a spacious outdoor pool and sun terrace, Villa Meral is an ideal family-friendly choice. The curved villa is bright and welcoming with whitewashed walls and pops of colour in the artwork and soft furnishings. 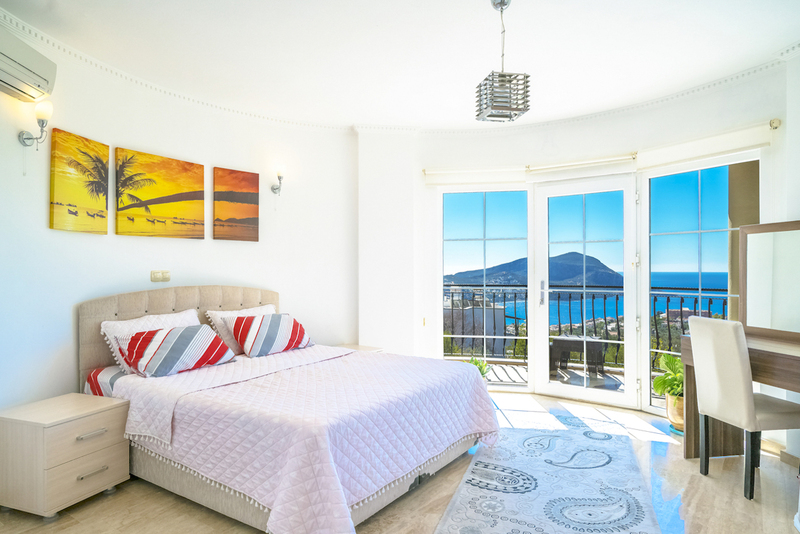 Ideally located in Kalkan on Turkey’s turquoise coast, you get the best of both worlds – a peaceful and private spot that’s a short walk from the centre of town with its famous roof-top restaurants, cobbled streets and beautiful boat-lined harbour. The large open-plan living, kitchen and dining room has natural-coloured furnishings and floor-to-ceiling windows and doors creating an extra feeling of light and space. You’ll have no trouble preparing meals in the fully-equipped kitchen, while the lounge with comfortable sofas provides the perfect place for families to get together and chill or plan the next day’s exciting excursions. The living room leads directly out onto the terrace and swimming pool, which is surrounded by greenery and carefully placed loungers so you can make the most of the sun or the shade. 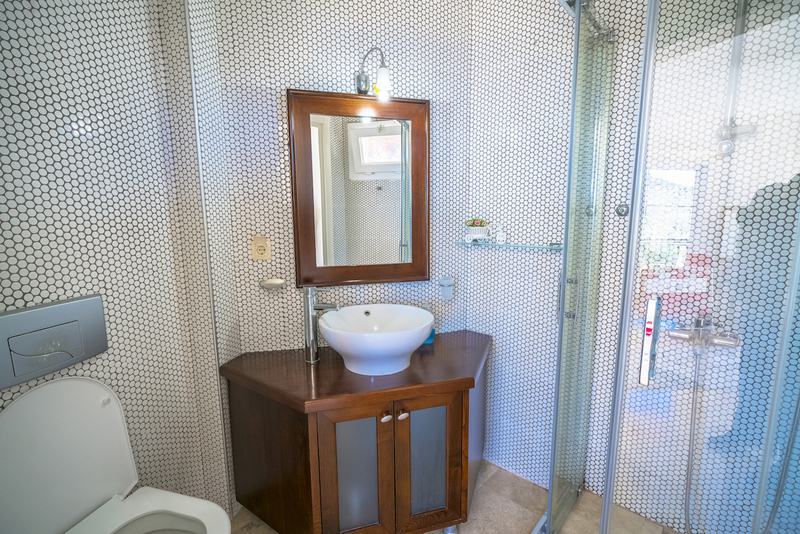 There are three bedrooms: a double en-suite and twin en-suite on the first floor, and a quaint attic room with two single beds and a toilet just outside the room. 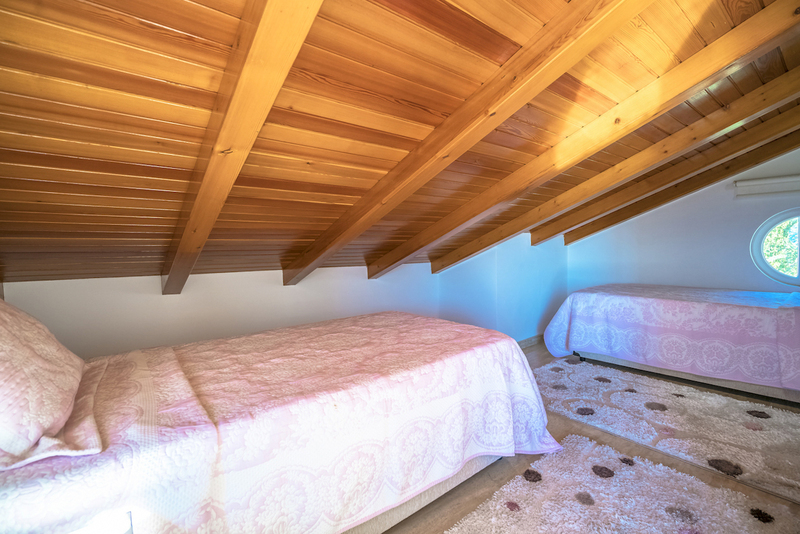 Each room has plenty of wardrobe space and is air-conditioned to keep you cool in those warmer months. 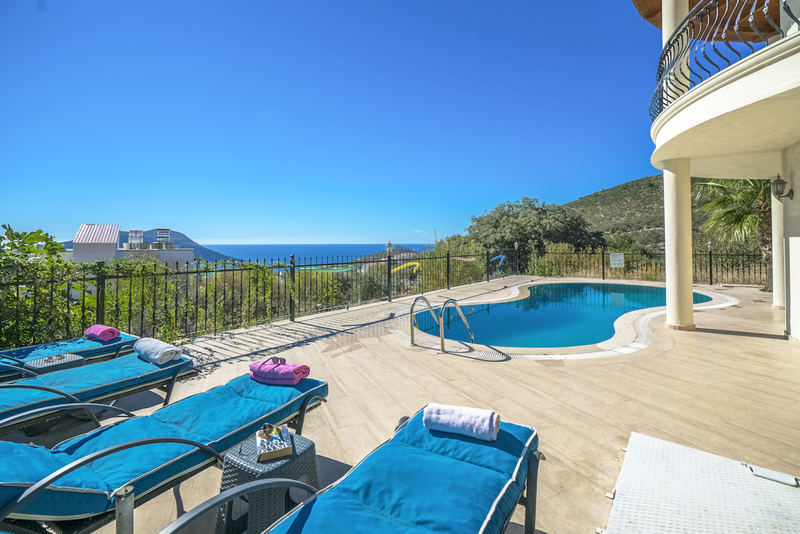 Apart from all these fantastic facilities, the villa’s crowning glory is perhaps its panoramic balcony, where you can survey the beautiful mountainous surrounds, town and bay below or simply relax on the cushioned chairs. 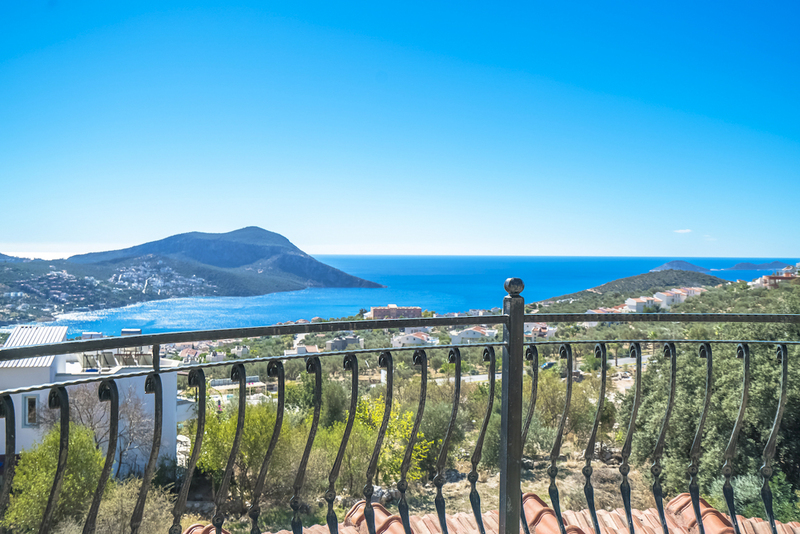 Villa Meral is only 500 metres from the nearest local restaurant and food market, 1.5km from the town centre and 2.8km from Kalkan beach. 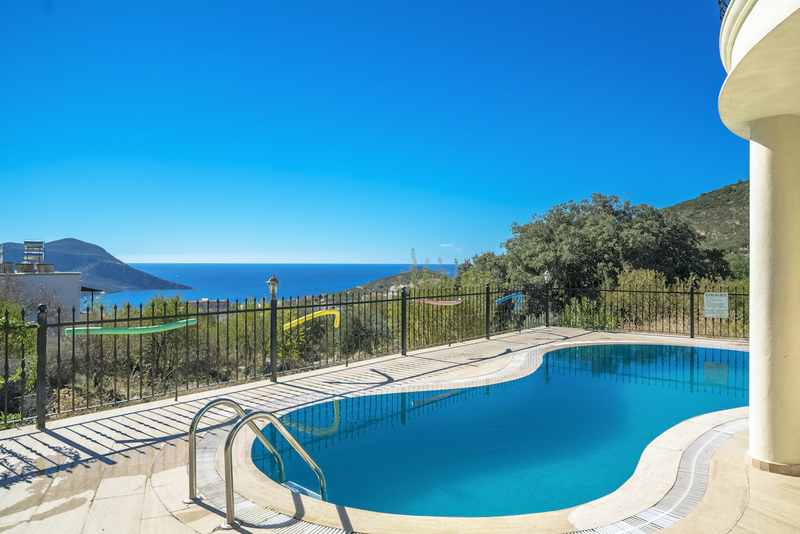 It’s also close to public transport links, so you can head further afield to towns like Kas and Fethiye. With its scenic harbour, sandy swimming beaches and plenty of activities on offer, it’s the ideal starting out point to explore this fantastic part of Turkey. 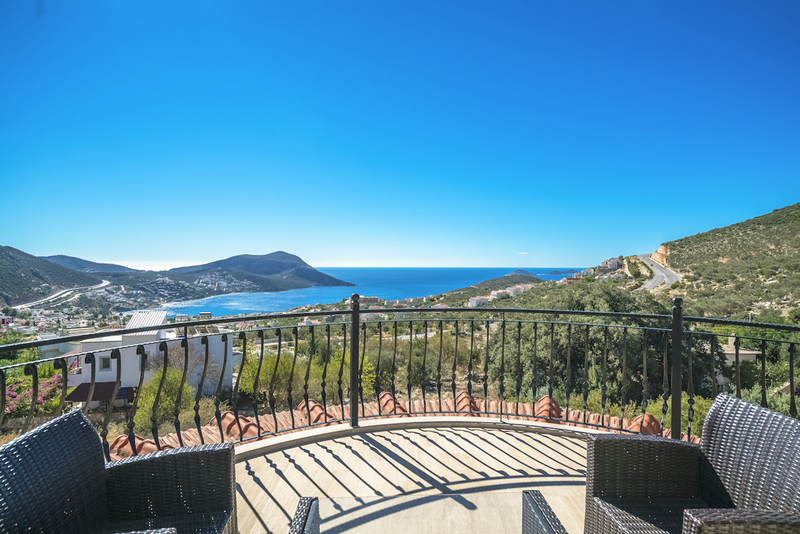 Kalkan is a historic fishing village turned popular holiday destination on Turkey’s glistening turquoise coast. The harbourside town is built largely on tree-lined hills that look down on an almost-perfect bay. It’s famous for its harbour dotted with boats and cobbled old streets. Visit one of the bustling markets where you’ll find everything from spices to hand-made rugs, produce and jewellery or browse the boutiques. Look out for stalls selling fresh gozleme (savoury pancakes). Stop off for a drink and bite to eat at one of the waterfront cafes or have dinner at one of the trademark roof-top restaurants, offering fantastic food and unrivalled views of the bay. You can’t come to this beautiful part of Turkey without exploring the many Lycian sights in the area too, such as Xanthos, Patara and Myra – all within easy reach from Kalkan. For nature lovers, there are also plenty of fantastic walking, biking and hiking routes in the foothills of the mountains.